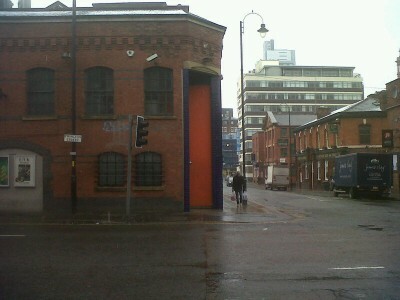 Maybe it was the unforgiving February afternoon but the former Factory powerhouse seemed a bit forlorn and neglected. Buses trundled by, indifferent students wandered around and if you didn't know the history of this little building, you could be forgiven for thinking it was closed up awaiting demolition. I think by the time this was built, the writing was on the wall for Factory but I hope it endures. You need to see it after ten on a Friday or Saturday, somewhat busier.